The future USS Thomas Hudner (DDG 16) returns at sea during builder's trials before returning to Bath Iron Works. 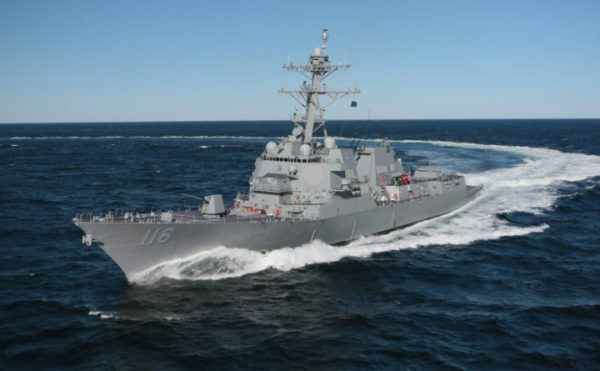 A U.S. Navy destroyer named for a naval aviator who crash-landed his plane to try to save a downed pilot has departed from shipbuilder Bath Iron Works. The Navy took delivery of the ship in June, and it will be commissioned into the fleet on Dec. 1 in Boston. The ship’s homeport is going to be Mayport, Florida.